During the late 1300s, some European scholars began to turn their attention away from questions of church doctrine or faith. Like many ancient Greek philosophers, they began to value evidence and the use of reason, the power of the mind to think, understand, and form judgments. The scholars promoted the investigation of nature through reason and observation. This philosophy later became known as humanism because the scholars stressed human innovation. The humanists emphasized the importance of human values instead of religious beliefs. The humanists emphasized the importance of human values instead of religious beliefs. Humanists of the Renaissance were often devout Christians, but their promotion of secular, or non-religious values, often put them at odds with the church. Some humanists ignored church dogma. Dogma is a set of religious beliefs that cannot be challenged. 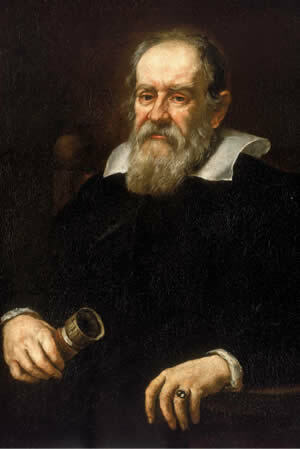 Galileo Galilei was a scientist who learned by observation. In Galileo’s time, most educated people agreed with Aristotle’s view that all heavenly bodies revolved around the earth. Galileo observed that, that several moons orbited Jupiter. When Galileo published his discovery, a Christian court called the Inquisition found the scientist guilty of heresy. Heresy is an opinion that contradicts the official teaching of the church. The scientist was sentenced to house arrest for the last nine years of his life. A deeply religious man who respected his Christian faith, Galileo accepted the sentence, but he continued to write and study from his home. The humanists studied the classics – the writings of the ancient Greeks and Romans. In the works of the classics, Renaissance scholars found an earlier way of thinking similar to their own. They believed the classical outlook had not been fully explored since the fall of the Roman Empire in Western Europe. The humanists recreated classical styles in art, literature, and architecture. Humanists believed that by studying the classics, they could better understand people and the world. Today we refer to the study of literature, philosophy and art as the humanities. Greek and Roman civilizations declined and fell long ago, but those civilizations continue to influence us today through the humanities. Download this lesson as Microsoft Word file or as an Adobe Acrobat file. Mr. Donn has an excellent website that includes a section on the Renaissance. 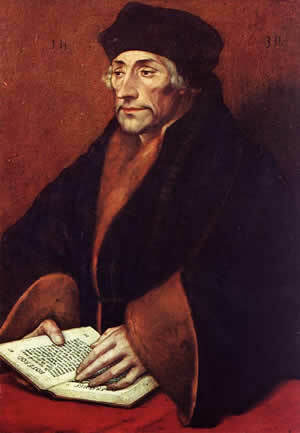 Desiderius Erasmus (1466 – 1536) was both a Dutch Renaissance humanist and a Catholic priest. Galileo Galilei (1564–1642) was a physicist, mathematician, astronomer, and philosopher who played a major role in the Scientific Revolution. This entry was posted in Renaissance. Bookmark the permalink.